Under the umbrellas of the pine trees your steps resound in silence and peacefulness. 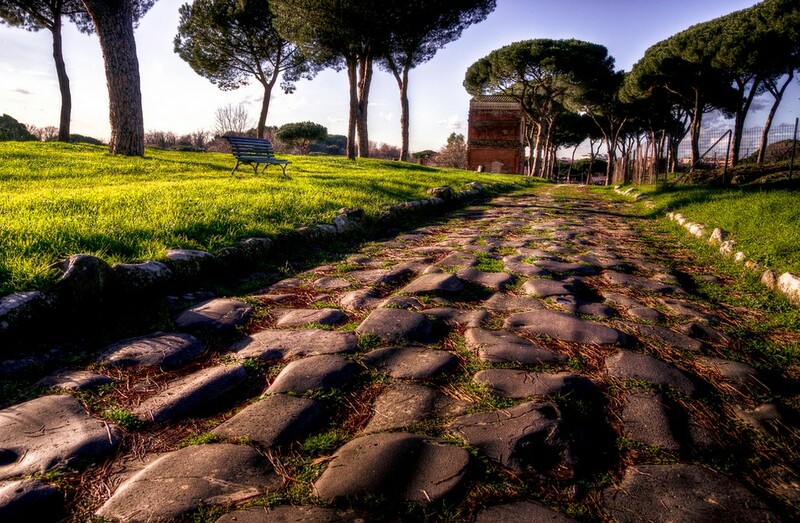 Ancient tombs cast their solemn shadows on the pavement made of antique slabstones. Legions and senators have trodden the same road as you are presently walking on. And the spell is dizzying. You enter a gate, leaving the modern road, and are plunged into a world that you thought had disappeared forever. 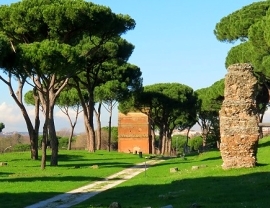 The stone pines are the same of old Roman times. 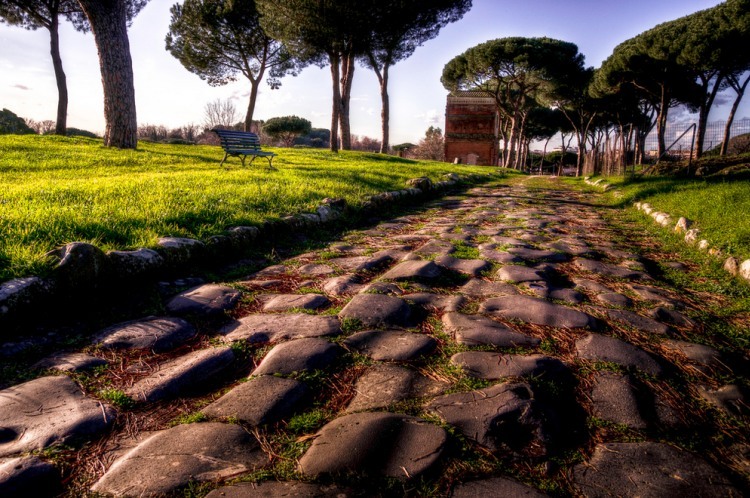 The road is paved with large stones marked by the deep grooves left by innumerable horse-drawn wagons loaded with amphorae and slaves. Brick-walled tombs raise their stern façades along the way. 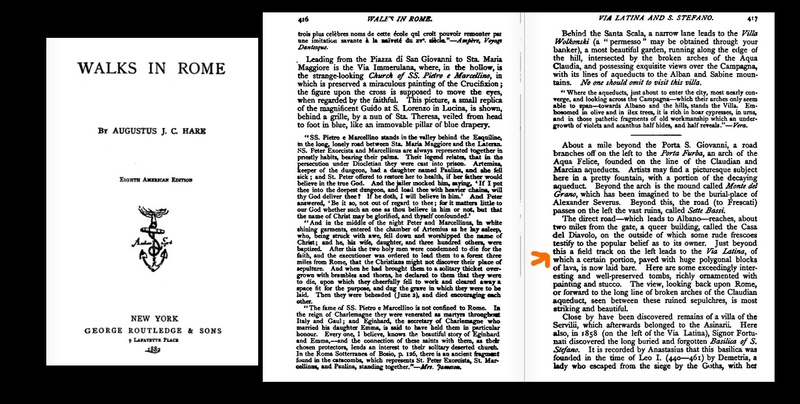 The names of the patrician families that once buried their relatives in this place seem to linger in the sunlight: Valerii, Pancratii. This is a charming spot in Rome, unknown to many. 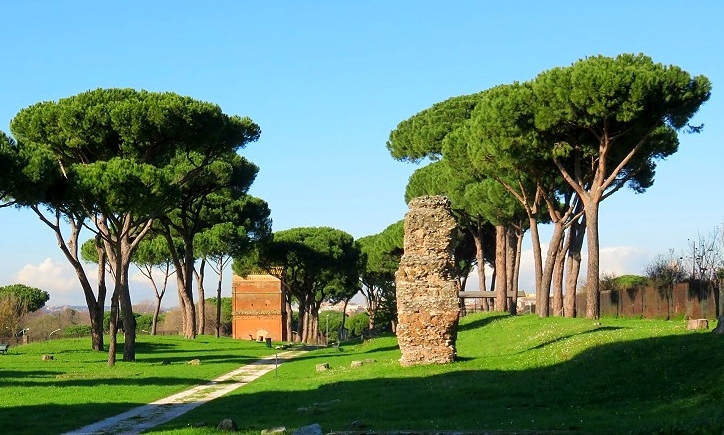 The quiet scenery is perfect for a family walk, as the place is easier to reach than the Appian Way and a parking area is available close to the entrance. 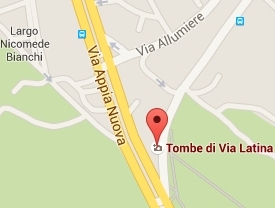 The tombs have underground burial chambers that can be visited when guided tours are scheduled. 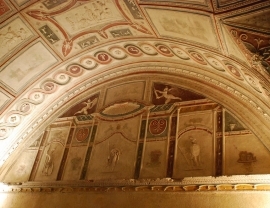 The subterranean vaults are decorated with exquisite stucco works and frescoes: a precious legacy that vanished Roman families have left to us. As if centuries had never gone by. Just beyond this a field track on the left leads to the Via Latina of which a certain portion, paved with huge polygonal blocks of lava, is now laid bare. 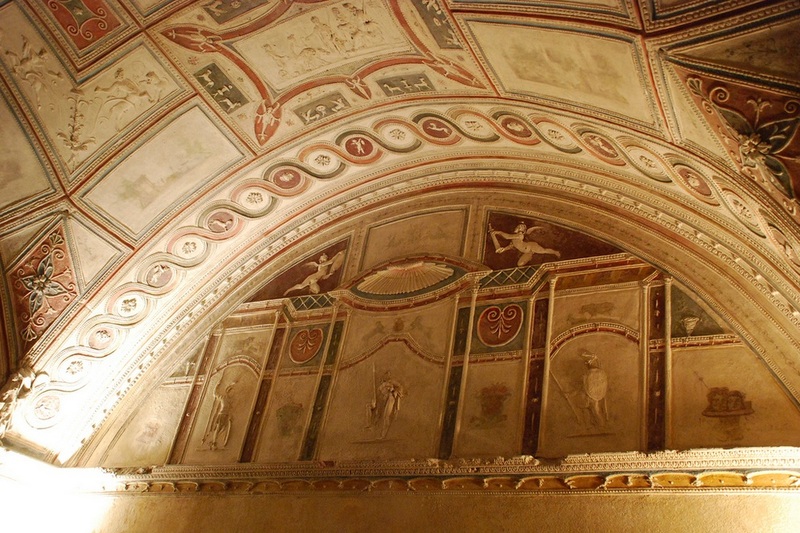 Here are some exceedingly interesting and well-preserved tombs, richly ornamented with painting and stucco. The view, looking back upon Rome, or forward to the long line of broken arches of the Claudian aqueduct, seen between these ruined sepulchres, is most striking and beautiful.